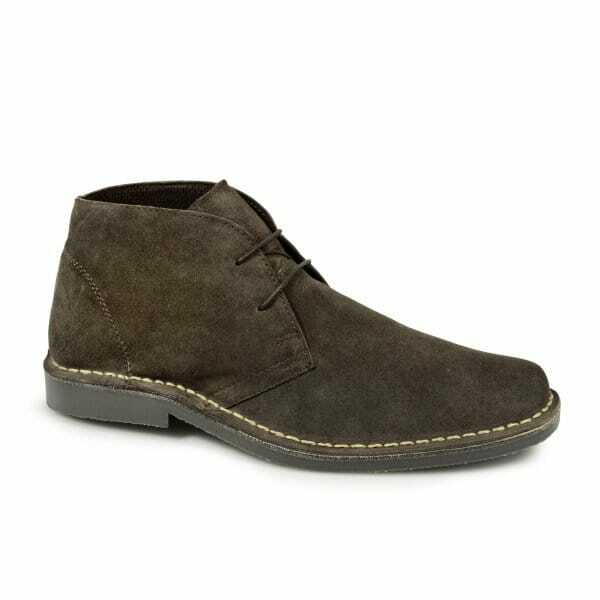 This all new desert boot from Roamers is a winning design. Ankle length boots with a shaped chisel toe and slim laces ensure these boots to be your favourites within no time. Perfect for casual wear under jeans or smart wear under a pair of chinos. Available in 4 colours: legendary sand, bold black, subtle brown and all new oily brown. Why not add scotchguard protection to your boots for only £1 extra. Scotchguard is a treatment applied at the time of dispatch. The scotchguard helps repel water and dirt, increasing the longevity of your desert boots.